﻿The world is full of problems and that can be stressful. But feeling like I am doing my part to be part of the solution, versus part of the problem, makes me feel a lot better and less stressed. I am always happy to hear a new story about people being active in volunteerism and fitness as well. Yesterday, I had a wonderful, heartwarming talk with Melissa Hoovy, Senior VP of Marketing Services from Legacy Marketing Partners, about a fantastic program she’s been involved with for the past two years: Breakthrough Ministries Running Club for teenage boys and girls in the East Garfield Park area. And Melissa said they are looking for a few more good men and women to be mentors for the kids. 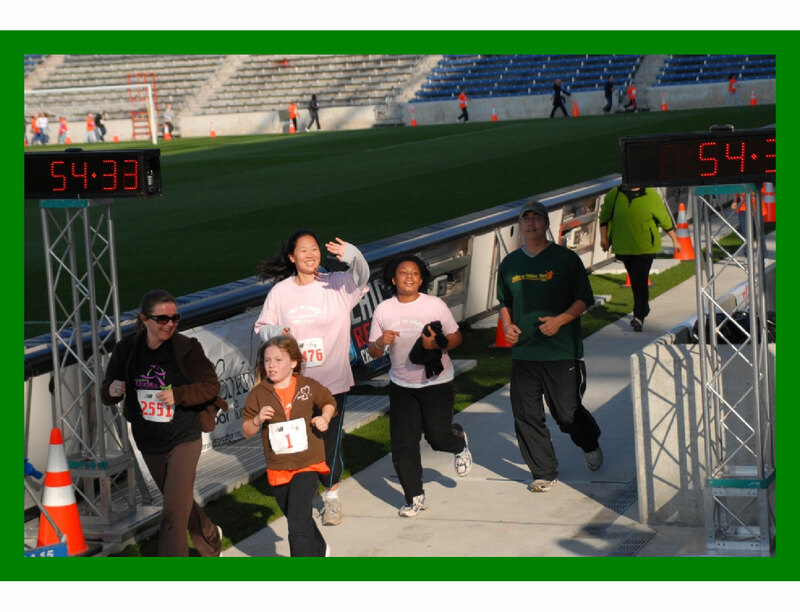 The Breakthrough running club focuses on providing an opportunity for boys and girls to partner with individual coaches and train for at least two 5k races in Summer/Fall of 2010. Every student and mentor will meet together for a group run once a week on Saturdays (Girls =8:15am, Boys=10:30am) where there will be a brief group discussion time, hitting specific issues such as physical health, self-confidence, and emotional support, followed by a group run, and finishing with a cool down session where a healthy snack will be served. There will also be a mid-week run held at Westinghouse H.S on Thursday evenings at 6pm. The Runners: The young men and women who are participating in this program are from East Garfield Park which is one of the most disadvantaged neighborhoods in Chicago with the unemployment rate at three times the city average and the drug crime ranking in the top %10 of Chicago’s seventy seven community areas (CPD CLEAR DATA 2007). The Goal: The goal for this program is for our young people to expand their adult network through their individual coach/mentor, develop the knowledge and ability to live a healthy lifestyle through running, and to build self-confidence by accomplishing their commitment of finishing a 5k race. The Miles: The students in the program will consistently be exposed to different areas of the city outside of their neighborhood through our group runs which will be held in Lincoln Park, the Lake Front, Humboldt Park and other city locations. Training runs start with a very easy run/walk sequence and progress to runs about 3 miles in length at the end of the program and just prior to race day. The Training: The training run for the Summer/Fall program began on August 14th and continues through Lawndale 5K run on Sept 18th (Both Boys and Girls Clubs will run Lawndale) and finish with the boys running the Hot Chocolate 5k on November 6th and the Girls running the Girls on the Run 5k on November 13th. 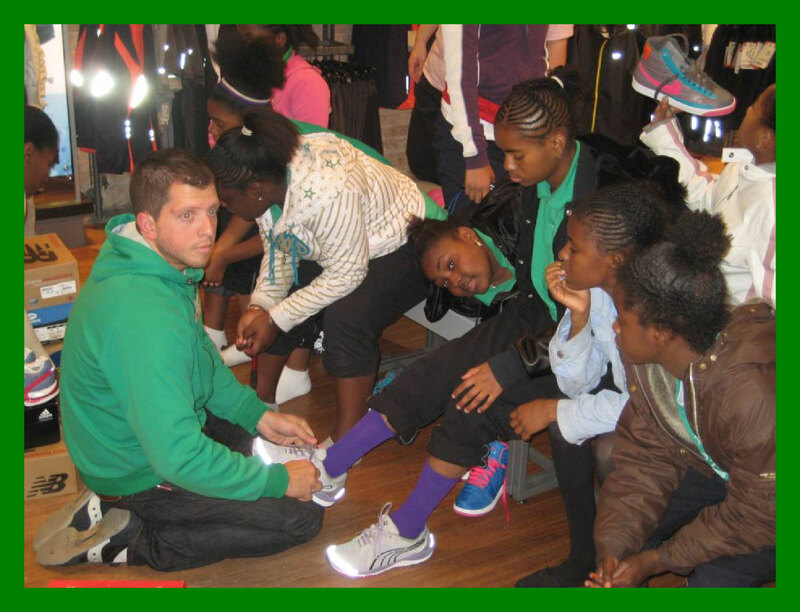 The Need: In order to give each student the maximum opportunity to improve their health and fitness we desire to provide them with adult partners, running shoes and athletic wear that they need. Be a Running Partner —Being a running partner involves the relationship that will make this program a success! Every running partner will be paired with a specific group of girls or boys for the season. As the student’s partner it is your job to stick with your girl or boy during the group runs and become the positive role model and encourager that he or she needs. The running partner will also contact the student at least once a week using the phone or text messages to make sure you both are sticking to your plan. Be a Snack Coordinator – Since one of our goals is to teach the young people healthy lifestyles, this position is very important! As the partners finish the group run, we will gather together and eat a healthy snack and drink as we debrief about the run and discussion. The snack coordinator will be responsible for providing and distributing the food and drink for this post run-activity, we can provide cups, jugs, plates, napkins, and a table if necessary and communicated prior. Donate Running Clothing and Gear– Breakthrough is doing a clothing drive for running clothing and would take donations of any size, any gender and any season of; running shorts, running tops (dri fit if possible) socks, sport bras, outer jackets, gloves etc. pretty much anything but shoes. Anyone interested can contact Rusty Funk at Breakthrough rfunk@breakthrough.org to find out how you can help out. Running Kids Need Running Shoes! Monetary donations– Anyone can donate to Breakthrough via the website and just specify youth and family services when you make a donation online. Working Well Massage donated 35 matching Breakthrough fleece headbands to Breakthrough’s Running Club for the youngsters this Fall season (a $200 value)! Feel free to match our donation or any amount you can spare!